The transition from an analog to digital production of random events is a complex affair. Digital gambling platforms stage chance or random events using algorithms called Random Number Generators (RNG). These algorithms are an essential part of the software that guarantees games are fair for all participants. In online poker, for example, attention is focused on the randomness of the shuffle. In online slots software produces an aleatory alignment of the reels. It is important for online casinos to be transparent about the software they use. Because the online gambling industry is highly reliant on gamblers’ trust. One way of gaining that trust is getting industry certifications that guarantee fairness. Online gambler networks are also key in building an online casino’s reputation, with websites such as Casino Scam Report offering user reviews based on experience and trust. Poker bots (software that takes the place of players) are unfortunately common in online poker, and user networks work hard to identify them. There are literally thousands of online casinos, so here are three software-related things that you have to keep in mind when choosing where to play. Most reputable online casinos are certified by external companies. For example, iTech Labs tests RNGs using different algorithms to guarantee that results are statistically random, that they are not repeated and that they are entirely unpredictable. The Kahnawake Gaming Commission is another regulatory body that gives certifications to online gaming sites. Large firms such as Price Waterhouse Coopers (they also count the ballots for the Academy Awards!) also certify the fairness of online games. Other certifications guarantee the safety of your data. VeriSign (you might have seen their logo in other online pages like banks or stores) certifies that the systems are secure (hey, you don’t want to give your credit card details to anyone, eh). Some other trusted certifications include Technical Systems Testing (TST), BMM and Gaming Associates. Some online gamblers complain about faulty software when in fact their game might be affected by other technical factors. Factors such as a slow Internet connection or hardware that has a hard time processing all the information generated by a game. If you play a technically complex game like PKR or the latest versions of 888, which involve 3D graphics in real time, make sure that your computer’s processor and your Internet speed are up to the task. If you experience slow gameplay, make sure the system is not faulty on your end before assuming the software has bugs. There are two main types of online casino software. Those that you can run on your web browser and the ones that require you to install a different program. Both types have their benefits and it is really a matter of taste. However, it is important to know their differences. 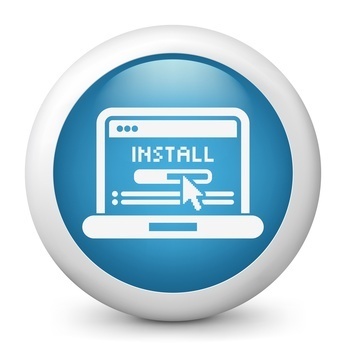 Download casinos require the user to install a program on the hard drive. They are generally robust software systems. Make sure you always have the latest version and that it is compatible with your operating system. However, the following casinos can be run directly from your browser: Flash casinos. “No download” casinos generally run with Adobe Flash. Which means they can run on Mac, Windows or Linux operating systems. Flash casinos offer cool platforms without taking much hard drive space. Graphics are also downloaded faster. Java casinos. Java is a programming language that is compatible with most operating systems and is also a no download option Most web-based online casinos run on Java script, as it is a robust and reliable framework for programmers. However, you have to make sure that you have the latest version of Java installed in your computer. To make sure you have the right one, you can run a test here.